An Ontario judge imposed $5.1 million in fines against Sunrise Propane and another $100,000 each against its directors, Shay Ben-Moshe and Valery Belahov. "The sheer magnitude of this event was unprecedented in Ontario at the time," said Justice Leslie Chapin. Sunrise Propane Energy Group Inc. was fined $5.1 million in court Monday. The company is no longer in operation, and was given two years to pay the fine. 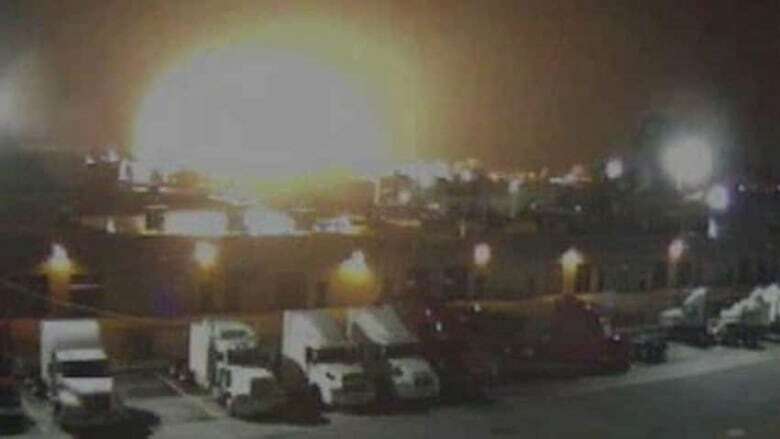 A fiery explosion at a Toronto propane plant that forced thousands out of their homes in the dead of night and claimed the life of an employee caused "unprecedented" devastation, an Ontario judge ruled in imposing $5.3 million in fines against the company and its directors. Sunrise Propane, which is no longer in operation, has two years to pay $5.1 million, while its directors Shay Ben-Moshe and Valery Belahov have three years to each pay $100,000, Justice Leslie Chapin said Monday. "The sheer magnitude of this event was unprecedented in Ontario at the time," Chapin said in describing the "widespread and devastating" effects of the Aug. 10, 2008 blast. Though the disaster has since been eclipsed by the deadly train derailment in Lac-Megantic, it remains significant enough to warrant serious fines, the judge said. That the defendants behaved recklessly and were motivated by a desire to cut costs were among the aggravating factors, she said. Prosecutors had sought more than $7 million in fines against Sunrise Propane and its leaders. The company, Ben-Moshe and Belahov were found guilty in June 2013 of nine provincial offences related to the explosion that launched fireballs into the sky, filled the air with smoke, shattered windows and coated lawns in toxic asbestos. 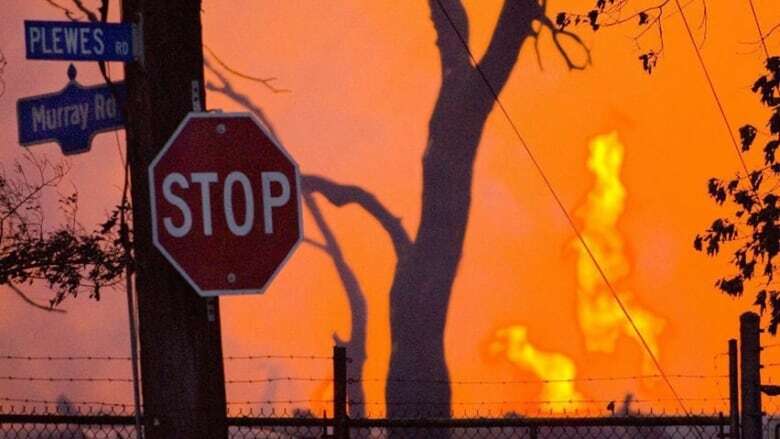 The Sunrise Propane explosion in the early hours of August 10, 2008 sent a fireball into the Toronto sky, damaged dozens of nearby homes and forced the evacuation of an entire neighbourhood. The company was cleared, however, of one count of failing to comply with a directive which involved notifying the Environment Ministry if it couldn't or was unable to clean up after the blast. The trial heard that, according to the government, the initial blast took place when propane vapours ignited during a risky truck-to-truck propane transfer. The government shut down all three of Sunrise Propane's facilities shortly after the incident. Defence lawyer Leo Adler had pushed for lower fines, arguing his clients don't have the money to pay millions of dollars. But Chapin said she had "no reliable information" to support that assertion. She did, however, take the pair's remorse over Saini's death into account as a mitigating factor, along with the fact that they had no prior record of similar offences.